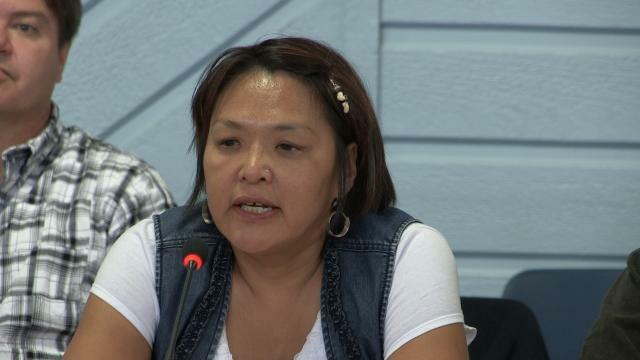 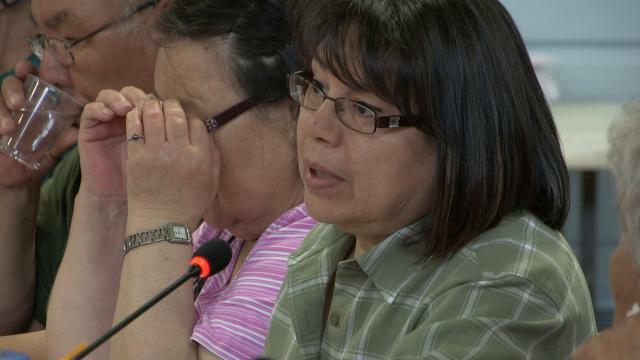 Celina Irngaut, NIRB Community Roundtable, July 25, 2012, Igloolik, 14:51 English Version. 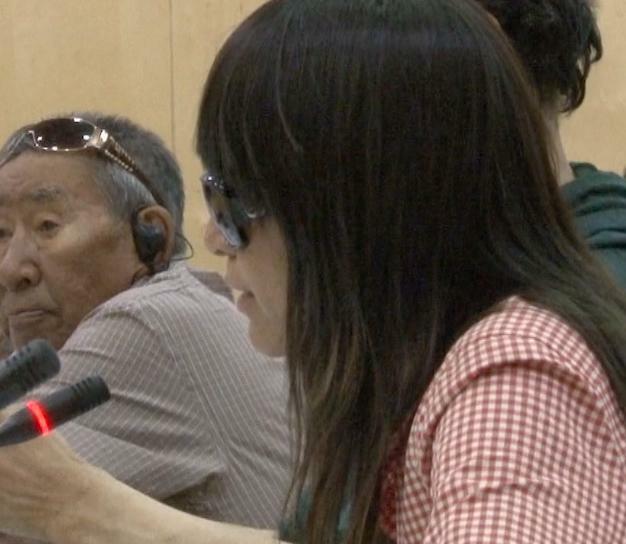 Celina is a professional translator. 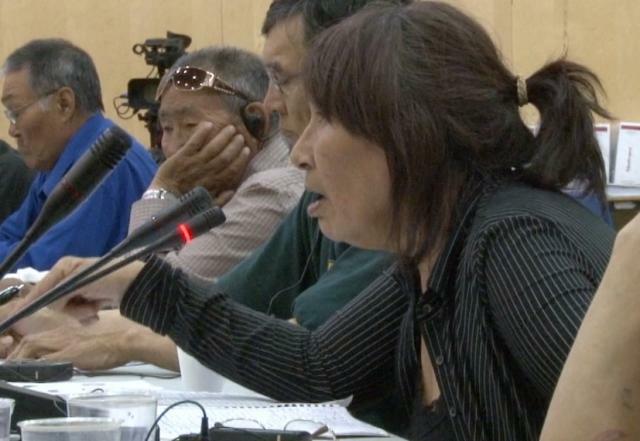 She comments on the Baffinland Mary River Development as the final speaker on the day of Community Roundtable when local people can ask to speak. 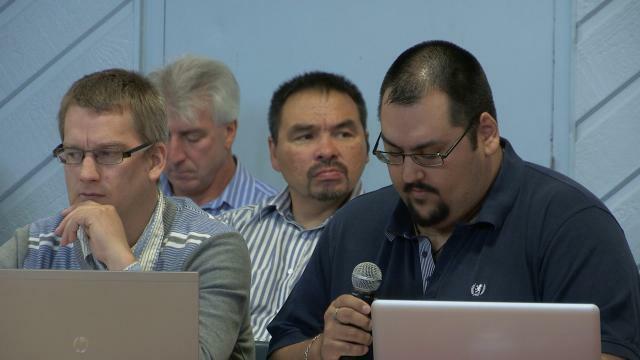 ᓂᐲᑦ ᐃᓄᒃᑎᑐᑦ July 25, 2012, Part 2, Inuktitut live radio feed from Igloolik Community Roundtable Wednesday, 87:19, Inuktitut, morning session Part 2, Nunavut Impact Review Board (NIRB) Baffinland Mary River Final Public Hearing Day 3 in Igloolik, Nunavut. 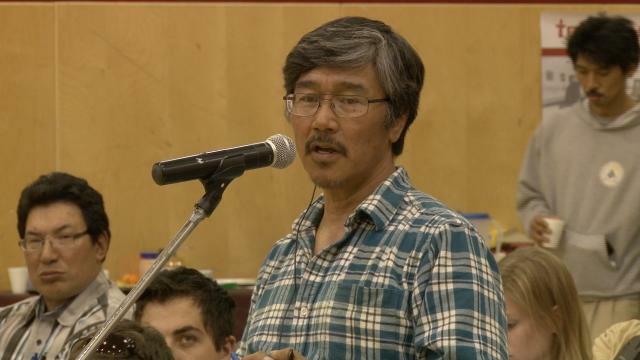 Community members have the opportunity to ask questions or make comments to NIRB Board, to Baffinland Iron Mines Corp.
ᓂᐲᑦ ᐃᓄᒃᑎᑐᑦ July 25, 2012, Part 1, Inuktitut live radio feed from Igloolik Community Roundtable Wednesday, 71:46, Inuktitut, morning session Part 1, Nunavut Impact Review Board (NIRB) Baffinland Mary River Final Public Hearing Day 3 in Igloolik, Nunavut. 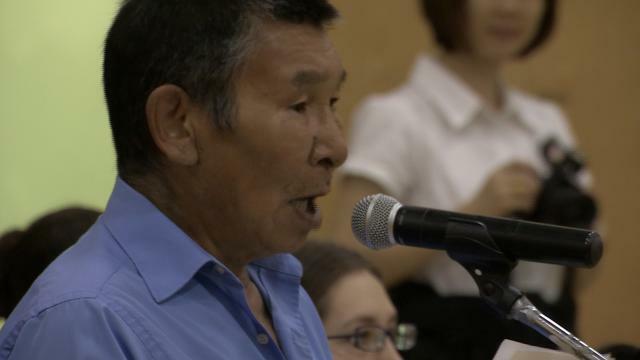 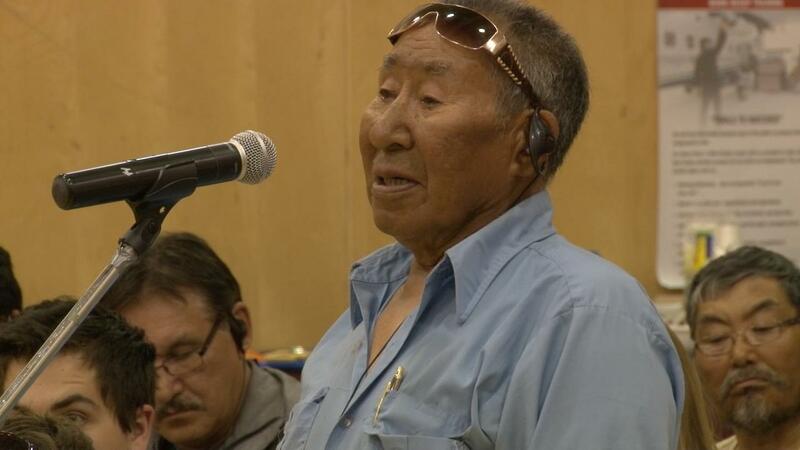 Community members have the opportunity to ask questions or make comments to NIRB Board, to Baffinland Iron Mines Corp.
ᐃᓄᒃᑎᑐᑦ NIRB Mary River Public Hearing Live from Igloolik Monday July 23, 2012, Part 1, 100:57, Inuktitut Version. 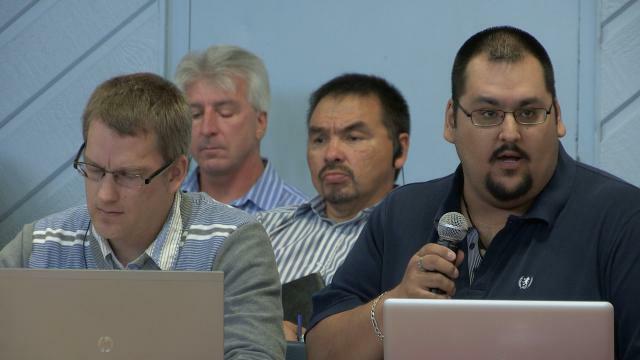 Chair Elizabeth Copeland introduces Igloolik Elder Louis Uttak for an opening prayer, then a welcome from Igloolik Mayor Nick Arnatsiaq, then the first part of Baffinland's presentation covering project components and the marine/terrestrial environment. 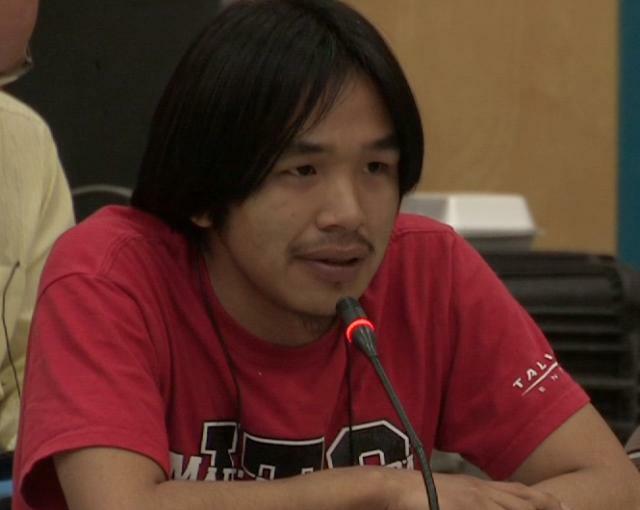 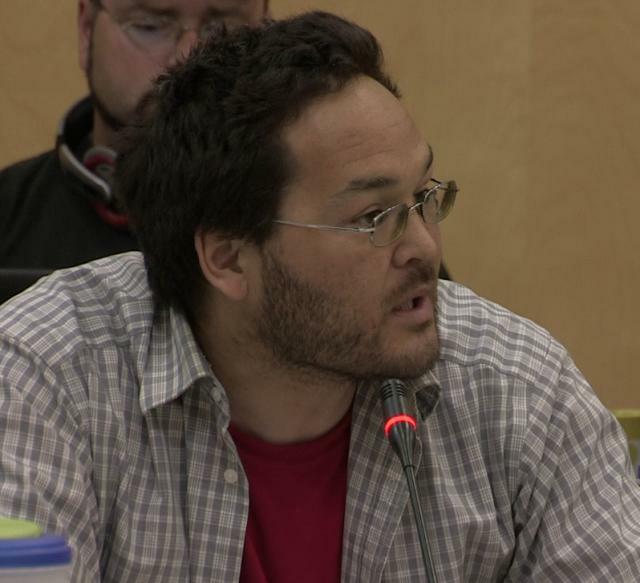 ᓂᐲᑦ ᐃᓄᒃᑎᑐᑦ NIRB Iqaluit Baffinland Final Public Hearings Summary Report Live Call-in, July 21, 2012, 57:23, in English and Inuktitut, DID human rights lawyer Lloyd Lipsett summarizes the first week of Final Public Hearings in Iqaluit and explains how the Hearings will work in Igloolik starting tomorrow, Monday, July 23 to July 25. 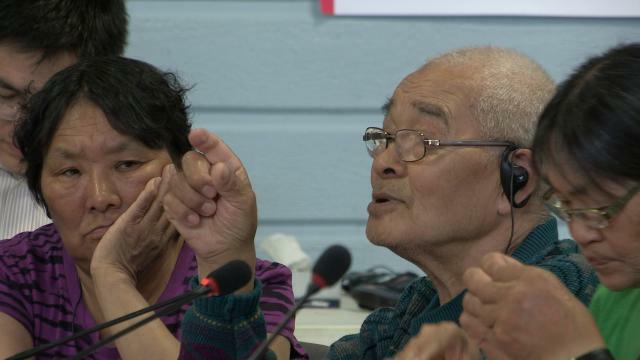 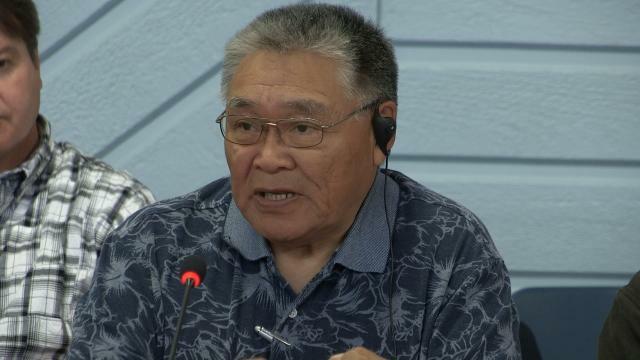 ᓂᐲᑦ ᐃᓄᒃᑎᑐᑦ NIRB Iqaluit Baffinland Final Public Hearings Live Radio Call-in, July 17, 2012, 86:22, Inuktitut AND English, DID human rights lawyer Lloyd Lipsett summarizes the presentations on the first day of the technical hearings, first by the NIRB Chairperson, second by Erik Madsen, Baffinland Iron Mines Corp.